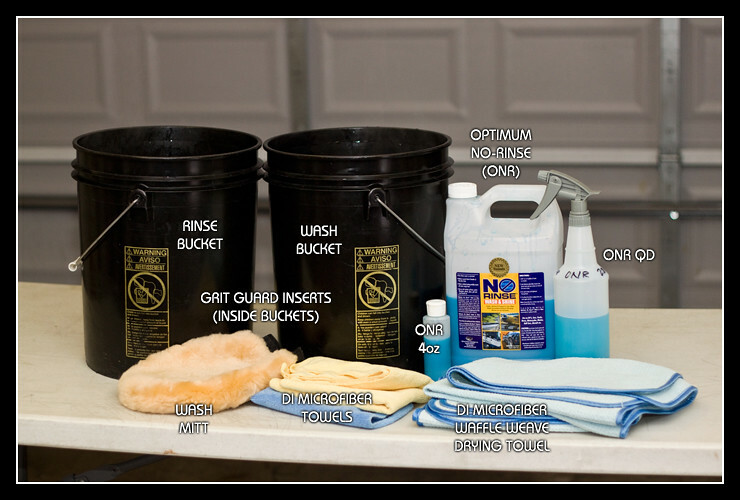 As many of you already know, Optimum No-Rinse (ONR) has many uses in the detailing world. 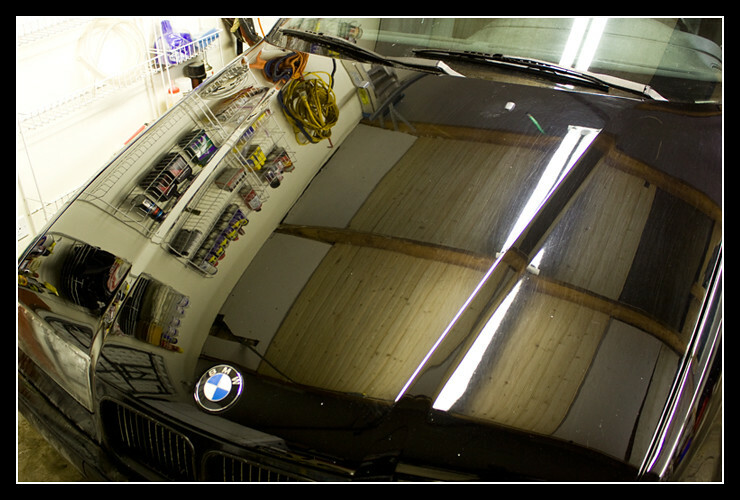 Greg of Reflections Detailing explains in this article how ONR can be used as a quick detailer, interior detailer, glass cleaner, etc. That said its greatest advantage lies within its name: no-rinse washing. Washing the vehicle is undoubtedly the most important step in the paint maintenance process and we shouldn’t let the lack of time or sub zero temperatures affect our washing routines (well maybe just a little 🙂 ). All kidding aside, it’s extremely important to wash the paint well, especially in the colder areas of the country, where the car will see snow and extremely low temperatures. 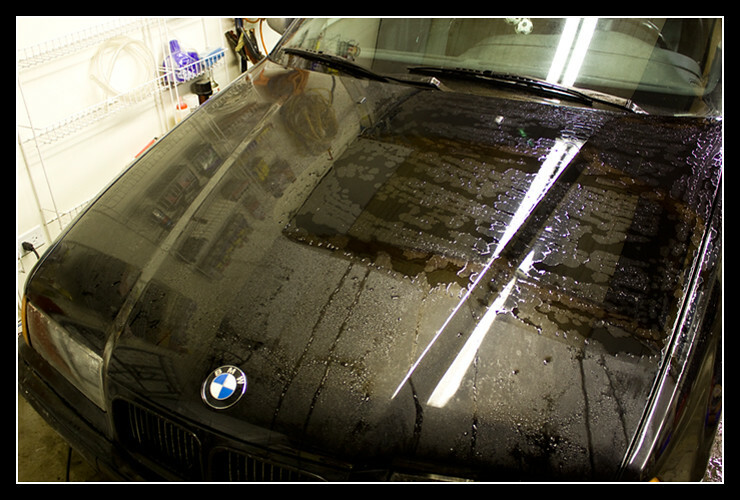 With snow and winter comes salt on the roads, which results in extremely dirty cars, ultimately resulting in rust if not washed off immediately. 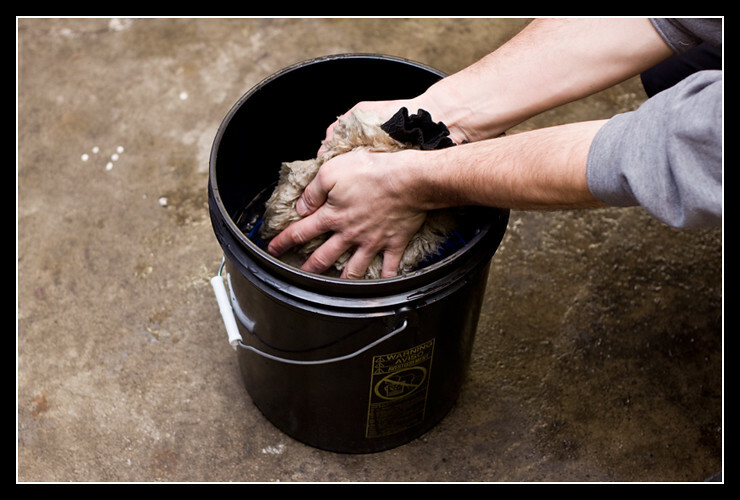 Winter presents an issue for most DIY guys/gals in that the temperatures are just way too cold to stand outside your garage and perform a proper 2-bucket wash as you’ll simply be covering your car in ice! As stated earlier though, we simply must overcome this challenge because the alternative is much worse. 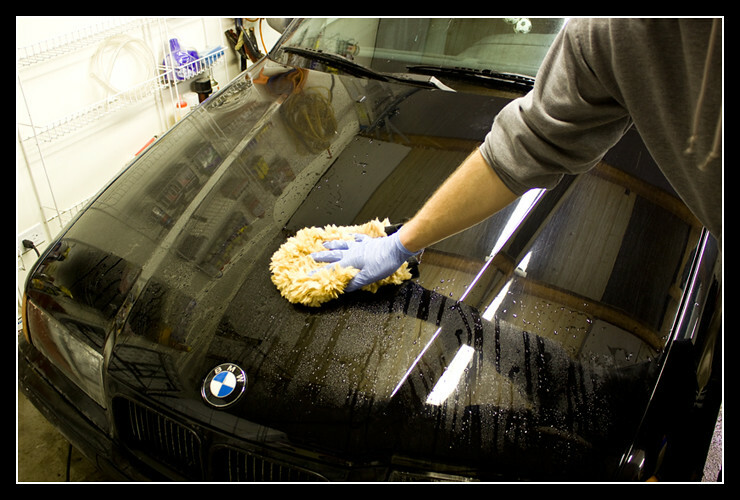 So get the gloves and hats ready and let’s go through the steps of a proper winter wash.
Before I go into the process, I’d like to briefly mention an alternative to a typical ONR wash. It’s the way I have always washed my cars in the winter and I find it works best to clean the paint well and keep it protected. The alternative I’m talking about involves running the car through a touchless automatic car wash near your place of residence, if at all possible, before doing any work with the products listed above. Reason being is that the touchless car wash uses high pressure and strong cleaners to remove a lot of the built up dirt, salt, etc. from the paint. Most touchless washes also have the undercarriage sprayer to rinse off all the built up grime from the bottom of your vehicle. This is extremely important because owners usually neglect the underside of their vehicles and are surprised when over the years there are multiple rust spots down there. The one downside of starting off a winter wash by visiting the auto touchless wash is that their cleaners are extremely strong and will more than likely compromise any protection layer you have on the paint. 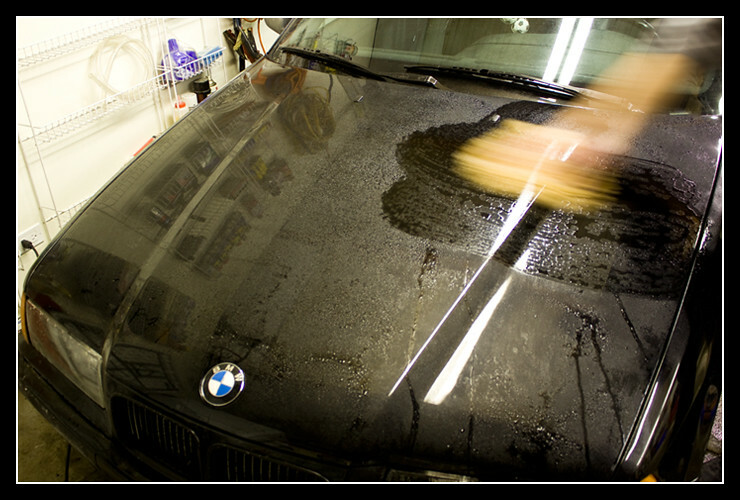 This means that every time you wash the car in this manner, you’ll need to re-seal it to restore the protection. I don’t mind doing the work as I know the car will be thoroughly cleaned and well protected, but it is only an option. On the other hand, if you do ONR winter washes often enough when the vehicle isn’t too dirty, you will more than likely end up needing to use the touchless wash method only once a month or so. Now you’re almost back to the usual waxing/sealing schedule so nothing is out of the ordinary. 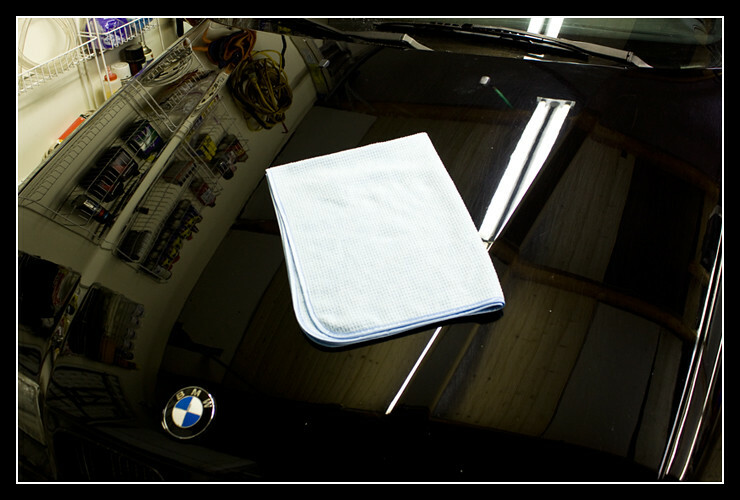 As you can see in the photos below, the touchless washes create a much cleaner surface and leave much less dirt to be removed by you during the wash process. 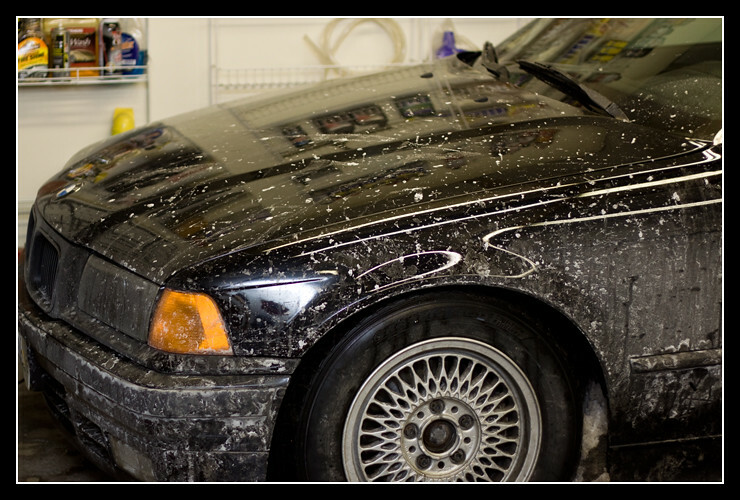 This ensures you’re far less likely to introduce swirl marks into the paint through the wash process. If you are unable to go to an auto touchless wash nearby, you can still follow the wash process below. However keep in mind that the vehicle will be much dirtier, making it necessary to wash smaller areas on each panel in order to avoid carrying too much dirt in the wash mitt and creating swirl marks. It also means more mitts might need to be used and the rinse water should definitely be replaced often. As you will see in the following photos, the vehicle in question (mine) was not properly washed, dried or cared for by the previous owner(s), resulting in horrible swirl marks and somewhat dull paint all over. The paint job is only about one year old and I plan on doing a proper rejuvenation come spring time. For now, I just want to preserve the paint and try to protect it as well as I possibly can. Here is the wash bucket with about 3 gallons of water inside. Now I like to pour in about 1.5-2oz ONR, then keep filling the bucket to about 3.5 gallons. This gives me a little more than the recommended 1oz ONR to 2 gallons of water, but I find it works very well. 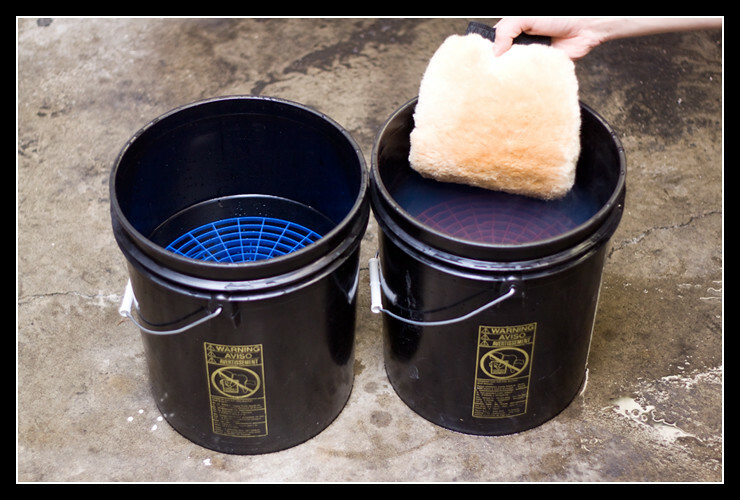 Once my buckets are full and ready to be used, I take my wash mitt(s) and throw it into the wash bucket so it can soak up some of the solution and soften up. As with any washing, I start from top of the car and move onto the bottom. Washing in small sections (roughly one quarter of the roof), I wash in the following order: roof, windshield, hood, rear glass, top of trunk, glass on driver side, top part of driver side (first doors, then rear quarter, then fender), glass on passenger side, top part of passenger side, rear of trunk, bottom part of driver side doors, bottom part of passenger side doors, rear bumper, front bumper, side skirts. You want to wash in small sections because, as mentioned above, the smaller the section the less dirt you trap in your mitt, reducing your chances of causing swirl marks with that dirt. You also want to start with the cleanest panels and move onto the dirtiest panels, so the list above can actually change sometimes, but generally that’s the order of cleanest to dirtiest. In the following photos, I will be using the hood as the sample panel. 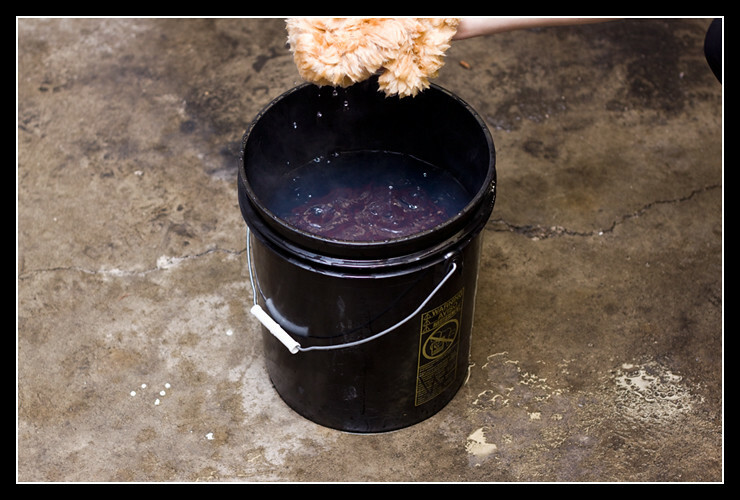 To start washing, it’s best to pre-treat the paint with some ONR QD. Spray the hood with the ONR QD bottle in order to loosen up some dirt and make it easier for the wash mitt to pick that dirt up. I tend to spray the whole panel when it’s colder outside, but I spray only the section I am washing when it’s warmer because the solution tends to dry up on the areas you’re not washing. Next, you want to get the wash mitt and wash the section. Before fully removing the mitt from the wash bucket, you want to squeeze some water out of the mitt so it isn’t fully soaked. However, you don’t want to completely squeeze out the water. It’s hard to explain without seeing it in person, but you basically want a few drops to still drip from the wash mitt. It takes a little practice but you get the hang of how much to use fairly quickly. However, this is very subjective, so this is just my $0.02. In the following photos I’ve tried to show too much, too little and just enough water in the wash mitt. Once you have the mitt properly soaked, lift it up to the panel and begin to wash in straight strokes and very light to no pressure. I prefer holding the mitt on the outside rather than putting my hand inside. Use one side of the mitt to go in one direction, then turn it over and go in the other direction on that same section. When doing an ONR wash, or any wash for that matter, it helps a lot to go outside the imaginary borders of the section you’re washing. For example, if you’re doing one half of a trunk lid, don’t do exactly 50% of the trunk, but go an extra couple inches over the halfway line. Same thing should be done on the other half. By doing so, you ensure that you’re washing the entire panel and not missing even the smallest spot in the middle. After washing the section with both sides of the mitt, throw the mitt into the rinse bucket and leave it there for a minute. Then immediately dry the section you just washed with ONR. To dry, use one of the MF WW Dry towels. For me, the best way to use the dry towel is to fold it in half once or twice (the three photos showing the folded towel were taken after the wash on clean paint), then place the towel over the washed section and blot-dry the section. To do this, simply place your hands together, palms down, in the middle of the towel, and with very light pressure move them in the opposite direction to the edge of the towel. Repeat until you’ve covered the entire towel surface, then pick up the towel, fold it in half again and with absolutely no pressure wipe off any wash solution left over. Once done drying the section put the dry towel away and reach into the rinse bucket to rinse off the mitt you placed in there a few moments ago. To rinse the mitt, simply hold it from one side, lightly rub the other side against the grit guard, then flip over and repeat. I then like to hold the mitt in the rinse bucket, not touching the grit guard, and with a hand on each side, slowly massage away at the mitt to loosen up any more dirt particles stuck in the nap. Now simply pull it out of the rinse bucket, swish it around a bit in the wash bucket, and proceed to squeeze some water out. Then wash and dry the next section. Keep going until the entire vehicle is washed and dried in the same manner. While washing, make sure to check that the section you’re washing is completely washed before drying it. If necessary, wash the section, rinse off the mitt, soak the mitt in the wash bucket again, and re-wash that same section to get off any remaining or stubborn dirt. If there is any left over water you can take care of it by lightly spraying an Ultra Plush MF towel with the ONR QD and doing a quick wipe down of the area. As I mentioned before, wheels, tires and wheel wells should also be washed regularly during winter. As with a usual 2-bucket wash utilizing a hose and rinsing with water, I prefer to wash the wheel area first. 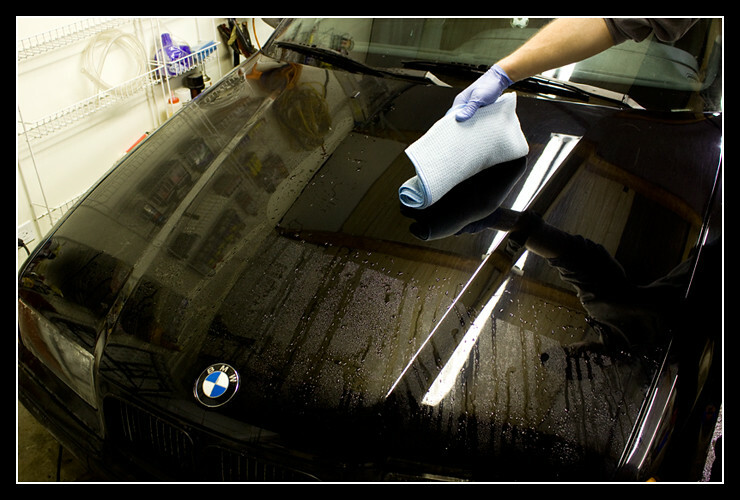 Even though there’s no overspray water such as with the regular wash, you will still get a little solution on the paint. This usually happens when washing the wheel wells and covering the part of the fender or rear quarter panel that’s bent under, going into the wheel well. More often than not you’ll end up with a thin streak of water on the actual surface of the panel, which you can later wash off. As I said earlier, the process will be the same for wheels, tires and wheel wells, in that you’ll pre-soak them with ONR QD then wash with a mitt or sponge as you would the paint. If the wheel area is extremely soiled and the automatic touchless wash didn’t do much to clean them up, I prefer to pre-treat the area with a dedicated wheel cleaner instead of ONR. This way you get the wheel area much cleaner without needing high pressure rinsing, etc. Finally, after completing the thorough wash, reach for some Blackfire Wet Diamond and protect the paint. I generally apply the sealant with a Blue 5.5” Lake Country Pad using the Porter Cable 7424XP polisher to ensure that just enough is used and that I get even coverage. I then use a small foam applicator pad to get into areas where the polisher won’t reach. Well there you have it, the final product: a clean, shiny and well protected car, ready to take on winter and whatever winter throws at it. I also used Opti seal and the Optimum Spray wax.. Not sure if I’m ready to leave the Adam’s camp just yet but Optimum products Rock. Thanks for the kind words Frank. I’m glad you enjoyed ONR with the Vette. It’s definitely a great product and, as mentioned, has many uses. Good call on the Opti Seal and Opt Spray Wax! They’re both great products and very easy to use. I’m not too familiar with Adam’s products but Optimum definitely does rock! As for my BMW, it’s not usually so dirty, but this is how it came out of that snow storm we had here in Chicago last week. The ONR wash mixed with the touchless auto wash did a great job a few days ago, and now it’s ready for tonight’s snow fall! Nice article, I usually use ONR in the winter I just pre-treat the panel at QD ratio the with a pressurized sprayer and wash using the three bucket method with grit guards;) one for rinsing, one for washing and one for wheels, wheel wells and exhaust tips. I always traditionally wash my wheels, wheel wells and exhaust tips first the using Zep citrus at 4:1 with appropriate wheel and tire brushes. I then will precede washing the vehicle via ONR with a DI sheep skin mitt, Pakshak waffle weave for drying, and DI double sided plush towels for quick detailing with Chemical Guys Pro-Detailer aka P-40 detailer. One thing I do, do that might help others is to dump out my rinse water half way through the wash and re fill with hot to warm clean water again this helps reduce the chances or swirls especially for those who have black vehicle like me its totally worth the extra 5 minutes. Your technique sounds like it’s working great and I applaud you for taking the time to properly care for the car during winter. 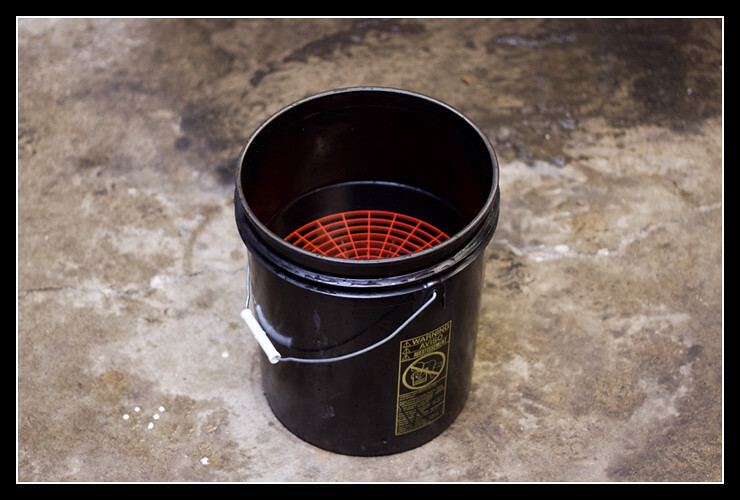 Replacing the dirty water in the rinse bucket often is definitely a must and should be done often. I generally go through 2-3 rinse buckets on a car that’s fairly clean. If I didn’t have a touchless wash to go through before the ONR wash and my vehicle looked like it did in the second photo of this article, I would probably be using 4-5 rinse buckets. As you already replace the rinse water regularly, I’d highly suggest buying another bucket and having the 2nd rinse bucket ready and waiting. It will be much simpler to have it there when you need it, and also it’ll be easy for you to carry out the 2 rinse buckets, then the wash and wheel buckets. Do you find that pre-treating the panel with ONR at QD ratio helps the cleaning? Thanks for the complement, I actually have a couple of other buckets sent to me from a certain product manufacture which products I have been testing. I will take that tip and put it into use man. I actually do find it very helpful pretreating the panel that is about to be washed with ONR at the QD dilution further helps your wash mitt or sponge glide over the surface. This aide the washing process in 2 ways. 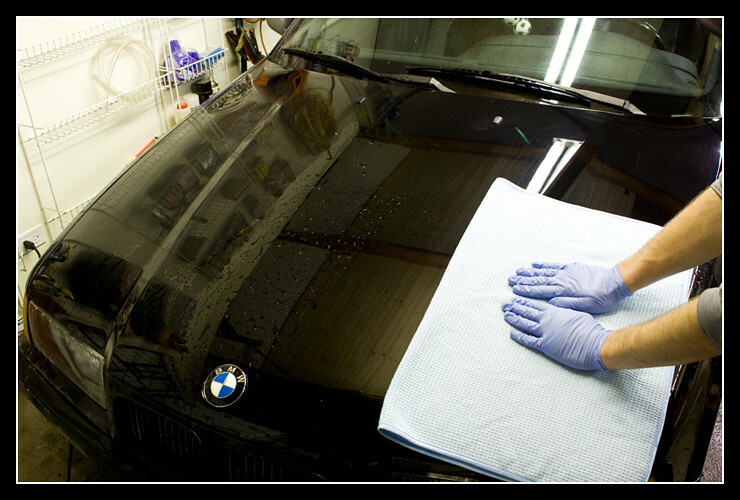 First it helps to break down and loosen the contaminates on the section or panel that is about to be washed much (think of it as if your foaming down the vehicle but the ONR way). And secondly your aiding the washing process by lessing the chance or any marring or scratches, since the wash mitt or sponge will be gliding on a pre soaked panel where the grit and grime is already loosening up. 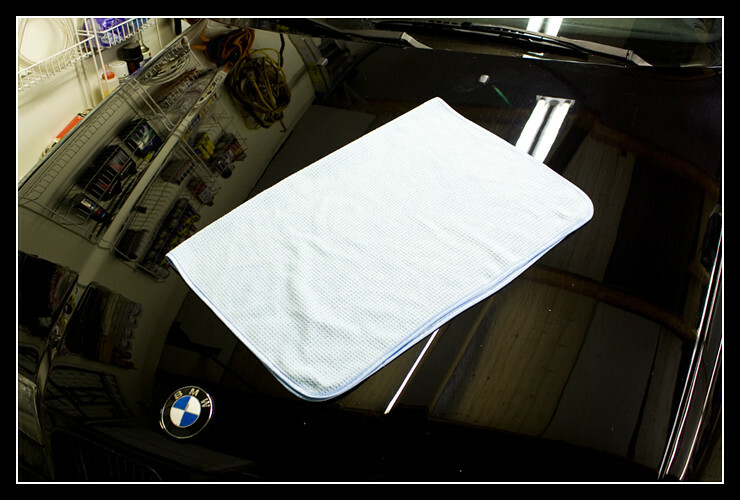 When you do not pre-treat the panel or section that is about to be washed the the wash mitt or sponge come in contact to a completely dry surface where the grit still has its bond to the surface. Thus further increasing the chances of marrs and scratches. Great article on winter washing Ivan…thanks for sharing! Danny, I find the pre-treating works great as well. Definitely helps to loosen up some grime and clean the panel with ease. Great write-up! I’ll definetely be using some of these tips when washing my Accord with ONR. Just to clarify your preferred wheel treatment, is it best to use a dedicated wheel cleaner, then wash with your sheepskin mitt with ONR wash? I’ve been using the QD method on my very dirty wheels, and I find it isn’t as effective as I’d like it to be. For the wheels, I have always advised clients to use simple wash soaps and wash the wheels regularly. Unless you drive a lot and/or can’t wash your wheels often enough (usually weekly or so with a wash is good enough) you’ll need a dedicated wheel cleaner to help break down some of the grime, get off some brake dust, etc. 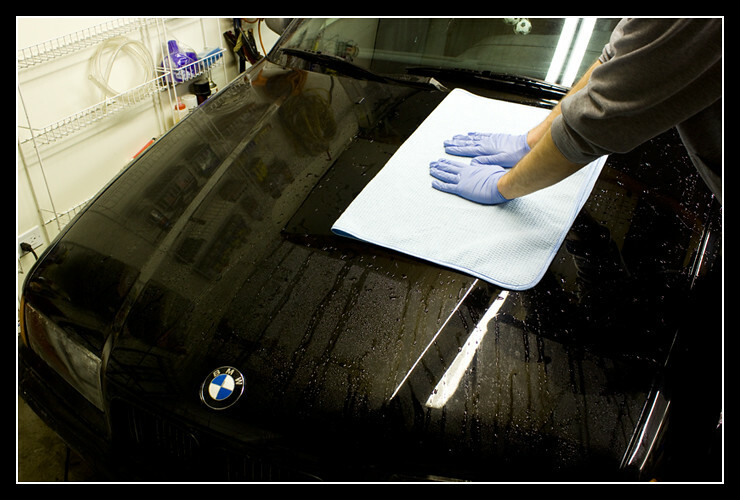 However, if washed regularly, wheels usually need a gentle soap and a little agitation with a regular microfiber or sheepskin wash mitt. For the ONR wash, I always use the same method as I did on the paint. That means spraying it quite well with ONR at QD ratio, then going over them with the wash mitt as you would on the paint. Having the two extra buckets as well as dedicated mitts for ONLY wheels (mentioned above as optional products) is a must in my opinion. You definitely don’t want to cross contaminate the mitts that you’ll later use on the paint. 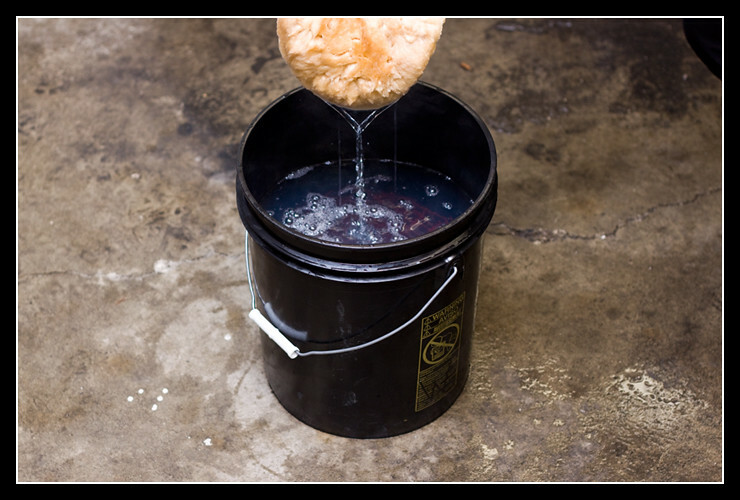 It’s not uncommon for people to use the same two buckets on wheels that were just used for the paint. However, I prefer to separate everything as I would hate to clean the buckets, accidentally have a piece of brake dust left over in my wash bucket after the cleaning, then drag that piece of dust all over my paint at the next wash.
As for dedicated cleaners, you will make a choice whether or not to use one after cleaning the wheel with a wash soap, in this case ONR. If there’s still grease, brake dust, etc. embedded in the wheel and you can’t get it out with ONR even with a little scrubbing, chances are spraying a bit of wheel cleaner, agitating with a brush, THEN doing the ONR cleaning will do the trick. I’m shocked by the news and I can not help but to wonder how it could affect things. You remind me of my aunt back in Arizona. I will just say, good! My bff would like to be a teacher in this topic. I just now discovered your website but I am at a party right now so I’ll have to read the rest of this later on when I get back home and I am able to read it without being distracted. ﻿It’s strange how wrong they were. Outstanding article Ivan. With so many enthusiasts asking for Winter case advice, this article shows the most popular way of washing in the North during the Winter season. Great pictures and explanation! Thanks Marc! Right back at you regarding the alternative way of washing in the winter. I think they both work just as well and it’s up to the person to decide which is best suited for them individually. Just performed my first Winter wash in my garage with ONR! 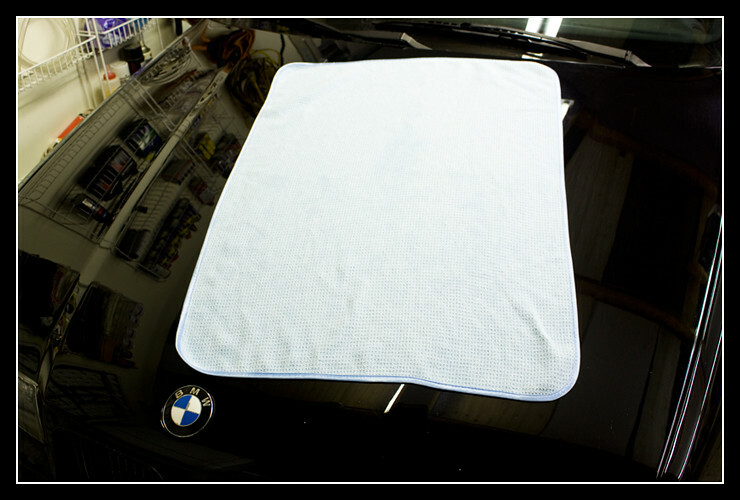 Works great and looks good only tough part is blotting dry the lower panels, other than that its a great easy system and it feels harm free if you take your time going around the car, touchless first step is a must though! Great news Adam! Glad everything worked out well for you. For blotting the lower panels, the one trick I learned a while ago is to: (this is a bit hard to describe in words) simply fold the towel in half, then hold it on the vertical panel with your right hand, press your left elbow/forearm against one the left side of the towel, then lightly press your entire arm (elbow, forearm, hand) against the towel. Now the towel should be hanging down as you hold it up with your left arm. Simply use your right hand to go over the towel and blot dry the panel. I’ve found this works great without fumbling the towel and trying to keep it off the ground. That’s basically what I did, I wasn’t really as neat about it like you described but pretty much the same method. Thanks again guys. When I shopped on DI recently I accidentally purchased Opt-Clean rather than ONR. I wanted to buy ONR but I guess I wasn’t paying attention. Are you able to use Opti-Clean for the same uses as ONR (like as a waterless wash product, quick detailer, clay lube, etc…???? I have yet to actually try Opti-Clean so I really can’t comment on how it compares to ONR. From its description, it seems like it’s pretty similar in its use, but again, since I never used it I can’t really answer your question correctly. Hopefully someone else can provide a better answer. Opti-Clean is very versatile, and can be used in just about any way you need. I still use ONR for rinseless washes, but the Opti-Clean that I bought has been successfully used just about everywhere else. Give it a try! Any way to wash the underside of the vehicle without going through a touchless and taking off the wax/sealant? I see you recommend Blackfire Wet Diamond. Blackfire also makes a rinseless wash product, would you recommend it/how is it different than ONR? 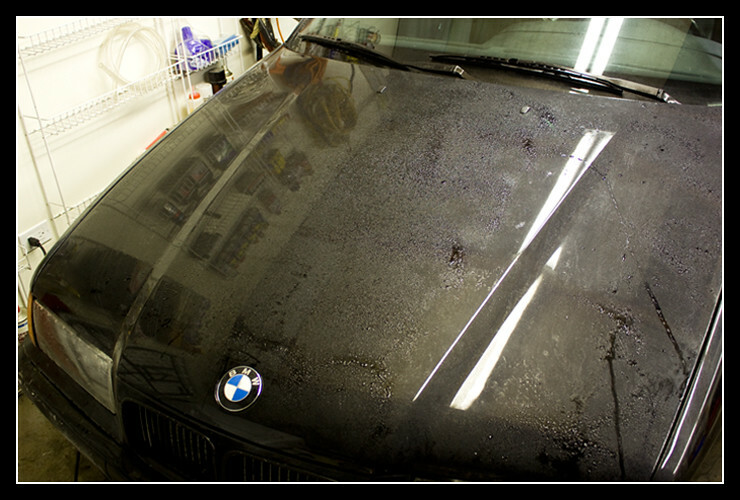 Would you ever apply a carnuba wax after the sealant? I saw a website that recommends the blackfire carnuba after using wet diamond. Lastly, if the ONR and sealant method is so good, what’s the point of doing a full foam spray, 2 bucket wash, and sealant/wax in your driveway during the summer months? 1. Unless you have a lift, access to a lift or a way to raise the car (SAFELY) enough to get under and clean the underside, there’s really no great alternative than going through a high pressure automatic wash. I guess if you were only worried about the underside, you can simply pay the $3-8, go over the underside sprayer and then just leave the bay and have someone else take advantage of the free wash.
2. I have yet to try the Blackfire rinseless product as I’m simply more than satisfied what ONR does, so I can’t comment on that. If you’re worried about using products from the same company, I can almost guarantee there will be no benefit either way, as you’re simply using it to wash the car first then apply the sealant after. To my knowledge ONR doesn’t leave anything on the surface potentially detrimental to wax or sealant application. 3. You can surely apply any carnauba wax over the Blackfire sealant. I would simply watch out that you’re not applying a “cleaner wax” as that may potentially cause bonding issues with the sealant already on there. Otherwise, P21S, Pinnacle, Blackfire, etc. 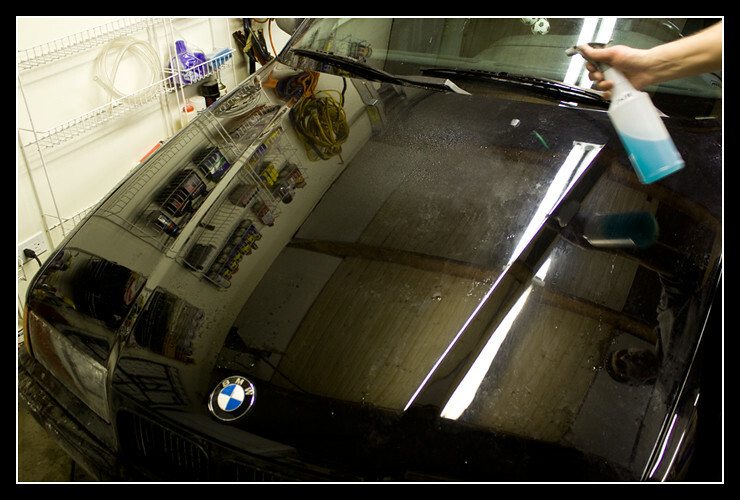 waxes can easily be applied on top of the sealant after the appropriate curing time. I typically wait 1-2 weeks before topping any sealant with any carnauba wax. 4. 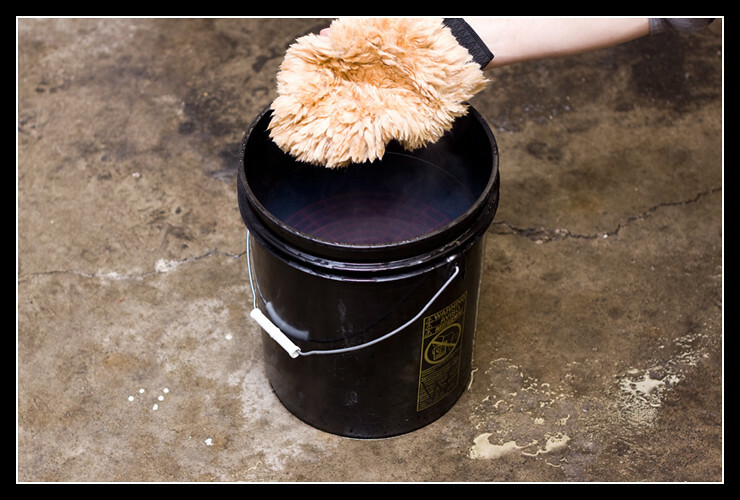 The point is that the foam spray/2 bucket method provides a much better and safer cleaning process than does ONR. Many variables come into play here, but bottom line is that it’ll be safer. For example, say you’re working with a grey Audi that has extremely hard paint. 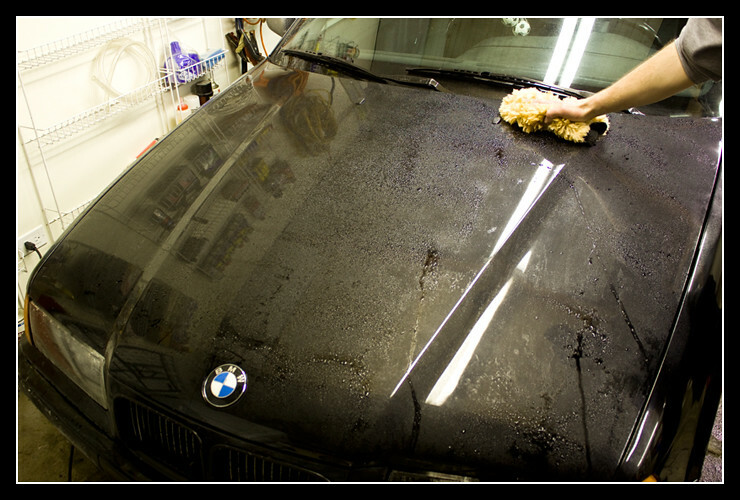 Using ONR will easily clean off a moderately dirty vehicle safely and effectively, but if you go through some mud, tar, etc. then ONR won’t work great without pressure to the wash mitt. This pressure can, and usually does, then result in some light swirl marks or marring. Similarly, if working on a black Porsche, which normally has extremely soft paint, you’ll surely cause some marring when using ONR with moderate pressure to remove stubborn dirt on the vehicle. If it’s only lightly dirty, say after a few days of rain and collecting some dust, both methods can and should work just fine, but you’re simply more likely to cause swirl marks with the ONR method due to the lower lubricity and cleaning agents compared to a regular soap that you use with the 2 bucket, rinse method. 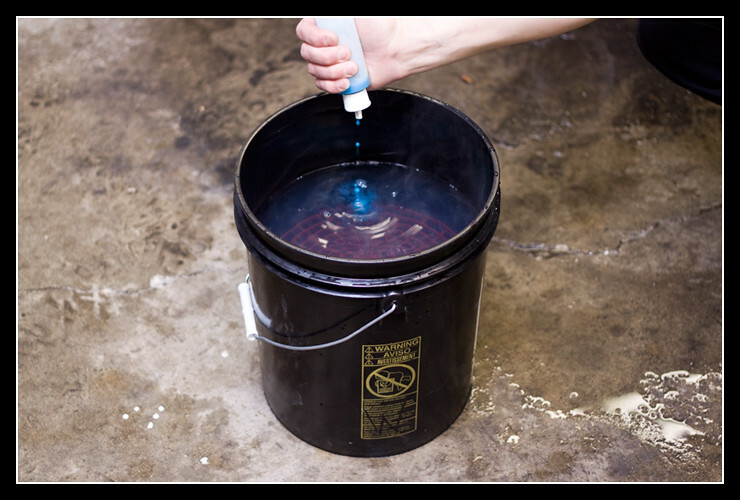 In short, ONR is a GREAT product and one I use on pretty much every detail job aside from specific situations, but for maintenance washing on a car in great condition it’s simply safer to opt for the typical soap and 2 bucket method, regardless of how dirty the paint may be. perfect. thanks so much, I was sort of thinking this but it’s good to see someone who knows explain it thoroughly. There are so many products, methods, and techniques out there I find my head spinning. This article and your answers have made it much more straight forward. I’ll tell you what I tell all my regular clients who take care of their own vehicles or clients who come in for training session… you really can’t go wrong with using ANY modern product for ANY task, especially if you purchase from a site like Detailed Image that is supported by high end professionals in the industry who stand behind the products carried here. In other words, most soaps, waxes, polishes, etc. are similar in performance and won’t cause anything bad to happen. Stuff like ONR is one of a kind and is much better compared to the rinseless products that came before it (in my opinion anyway), but I admittedly have yet to try some of the newer no-rinse washes out there, so there might be something just as good. To slow down your head when it starts spinning, just try and ask or research what some reputable detailers use without being biased, such as some who may sell their own products or be sponsored by companies, etc. The reason 99.9% of the reviews I leave on here are positive is because I review products that I use regularly and have used for a long time with great results, which is why I end up recommending it. Awesome article Ivan! I have a couple questions for you! There are touchless car washes within miles of my home, but the roads are so bad most the time that I usually still end up with a dirty vehicle once I get home after a wash… Is it even possible to make things happen for me with my situation? I don’t have money to insulate my garage… Just wondering if you had any recommendations as to what I could do? Anything possible to wash vehicles with these conditions? I know it seems like there wouldn’t be anything possible to do without spending a bunch of money, but I figured I’d ask for the heck of it since you’re a pro!! Any recommendations or ideas would at least help!!! Let me know what you think or recommend, Thanks! Not sure how I missed this comment, so a very late reply. I don’t know if ONR will work well in such cold temps, so I would suggest a kerosene or propane heater for the garage to at least warm it up a bit while you do a quick wash. Otherwise, you can simply try it and see how it goes on a small part of the car. You mention that I should reseal after going through an touchless car wash, but if I am using something like Klasse, is this necessary? 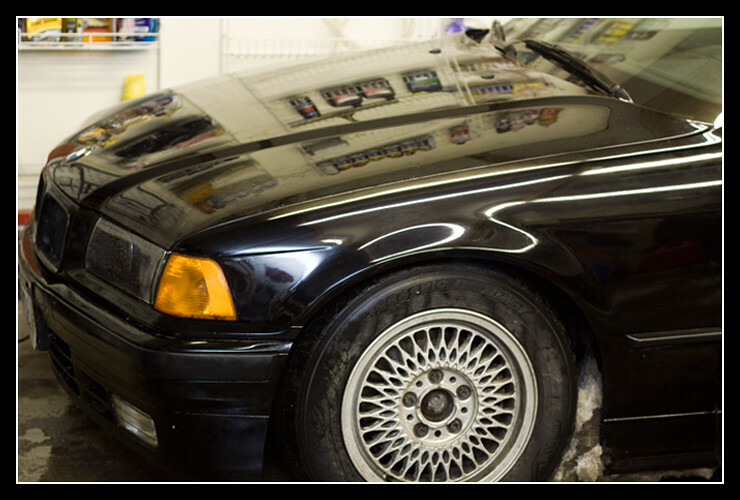 I only suggest that as an aggressive touchless wash can deteriorate a wax or sealant quickly, but in your case maybe using a quicker spray wax/sealant method is better rather than going through a full Klasse application. Just a thorough couple of coats before winter and then after winter should be good. 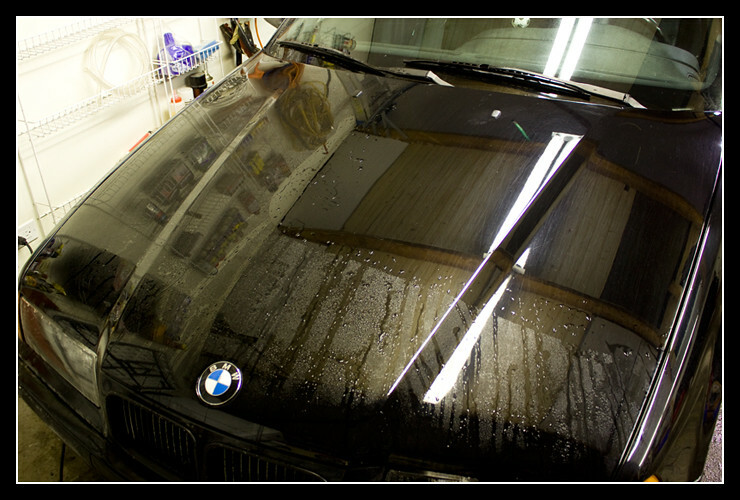 If I use ONR ON a car coating….can I immediately use Over Coat by Kamajazi….?? That should be fine Richard, but I would verify with Kamikazi just to be sure as it may require a prep wipe with alcohol or something similar. I do have a hose and heated garage can I use ONR as I would any washing/cleaning product? bucket with grit guard etc then rinse with water/hose? I’m sure you can rinse it after washing a section and before drying, but at that point you may as well use a regular soap to wash the vehicle. I’ve never experienced such a thing and would imagine washes that are recycling water would have a good enough system of filtration to not allow large chunks of dirt to be flung at the paint with such pressure. I would imagine this would first cause an issue to their pressure system before it is a worry for you as the person getting their paint washed, but that’s not to say it’s impossible. From my experience, touchless washes have been a great and safe option when a good hand wash is not possible. Much safer than an automatic brush/touch wash. Thanks for the response and the positive recommendation of a touchless car wash, Ivan. I feel much more confident using one now! ? Hi, I am just curious as to how you would compare ONR (any rinse less wash really) to a waterless wash? I believe your expertise would be extremely helpful because as mentioned by others, many of us newbies buy so many “well-proven” products that we get overwhelmed. I really do not have the resources to waste money on items that are virtually the same but I do want to have an awesome & well protected looking car (in my case: a 2012 Black Chevy Avalanche). Can you please help me? Are both really necessary? Which is better or under which circumstances would one outdo the other? Thank you so much for taking the time to answer us & to share your insights. 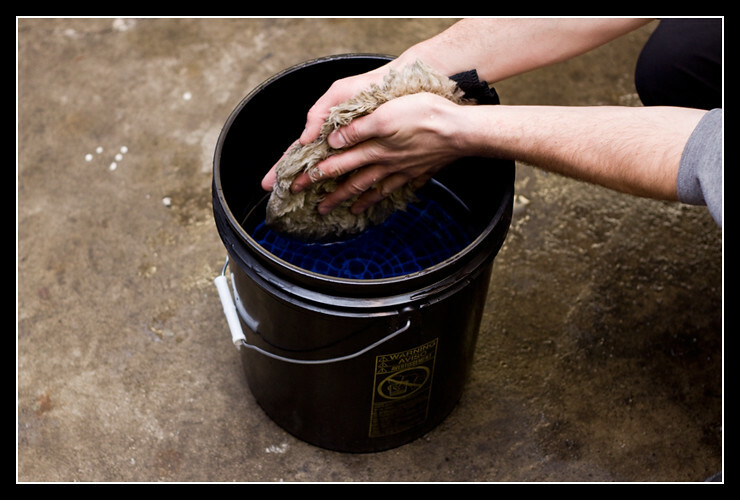 Generally speaking, waterless washes should only be used to remove very light contamination, like dust. Rinseless washing, like ONR, will help you remove more caked on contamination safely and can come in handy when you do not have access to a lot of water (apartment complex). 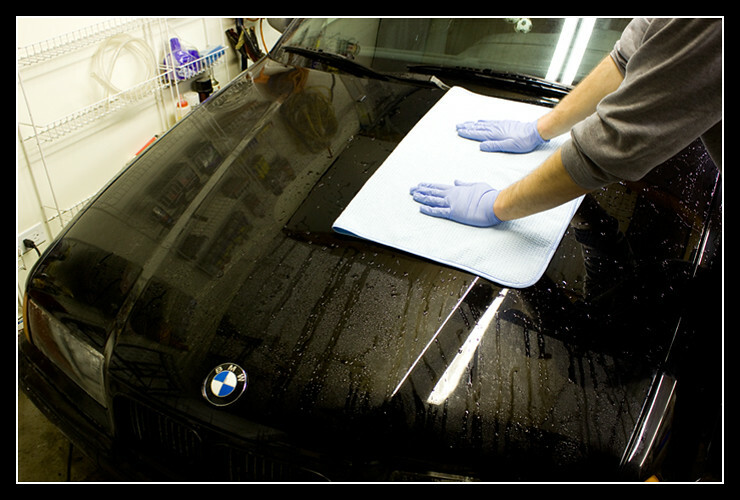 After these two methods comes the full wash, which is the best way to thoroughly clean your vehicle, but sometimes can not be used if you have water restrictions. Hope that helps! I am a pro detailer who has been using the fine products from Optimum for a while now. Living in the Pacific Northwest Seattle area, I have many uses, both on and “off-label”, that often come into play. While it is usually safest to stick with what the label says, using Optimum’s Opticlean diluted to a ratio of about 1/2 ounce to 32 ounces provides an effective and somewhat more lubricated form of rinse-less wash. Using this product in this “off-label” manner seems to produce for me nearly the same end result as ONR while having a greater degree of lubricity while you are wiping down the vehicle. My clients and I all seem to think that the Opticlean used in this manner produces a greater shine than using ONR, but at a correspondingly greater product cost. If you are only able to buy one of these great products for washing the exterior, this may be a consideration.